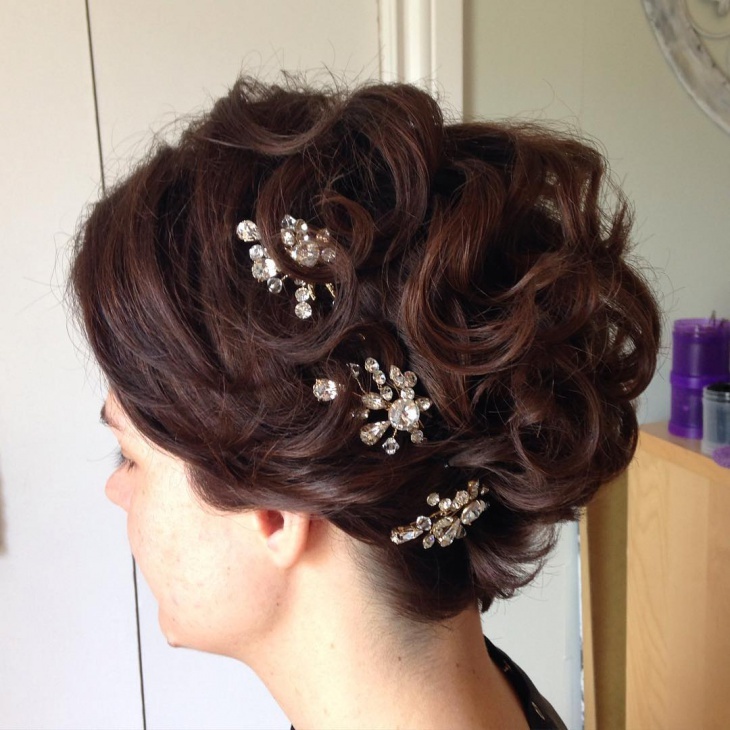 A timeless classic since the Victorian era, updo hairstyles are known for their chic sophistication. It has been catching on the fashion express for a while now, winging its way into beautiful weddings, ballroom parties and public appearances. The who’s who of Hollywood are regularly seen sporting this updo and its wonderful variations these days. And why not, given all you need is a twist of hair, a few pins and a couple of ornaments for that otherworldly stylish look! Her doll-like face is an ideal match for this soft, blown-up hairdo. With little flicks let loose around the face, choose this hairstyle for an innocent yet graceful public appearance. Very few carry elegance as fashionably as Julianne Hough! With her sharp features and icy blue eyes giving her face a natural grace, her side-swept upturned hairdo here is just the perfect fit for a paparazzi-filled evening. When you want to wear a natural, not overdone look to impress your date with your elegance, this is the one you should opt for. Held up with simple U-pins, the idea here is to bunch up your hair and twist each bunch separately, pinning them up at the back. 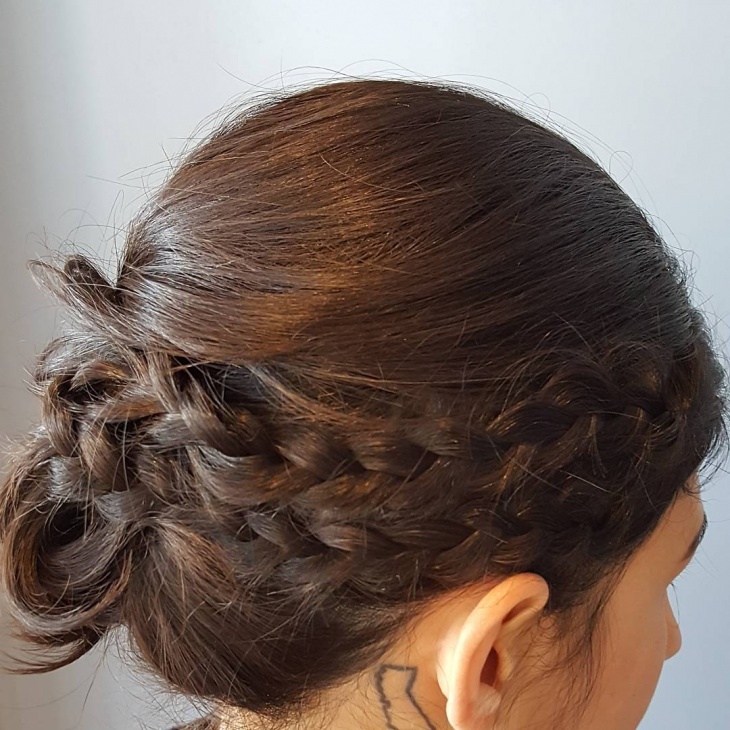 A trend which used to be the daily hairdo for maids during the Elizabethian era, this short hair updo comprises of parting the hair in two bunches, and softly tying them up in a rope braid at the crown of the head. 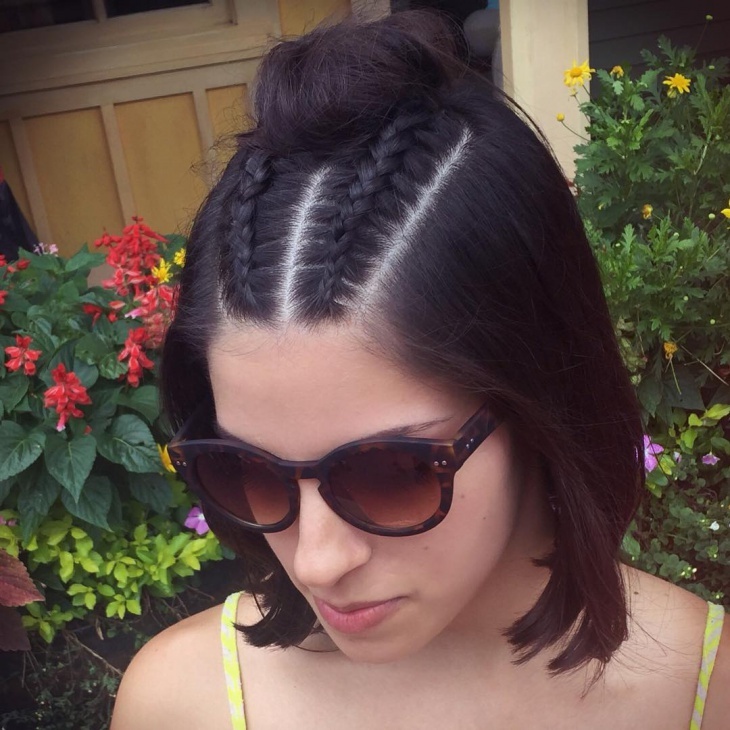 Pin up the braid at the sides, and you’re done! 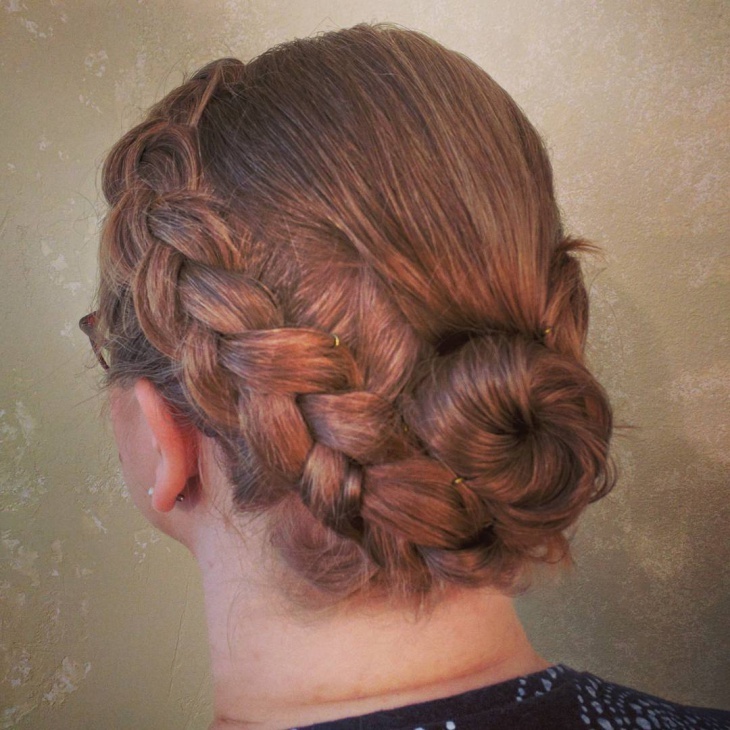 A more stylish version of the braid updo, this one is for even shorter hair. 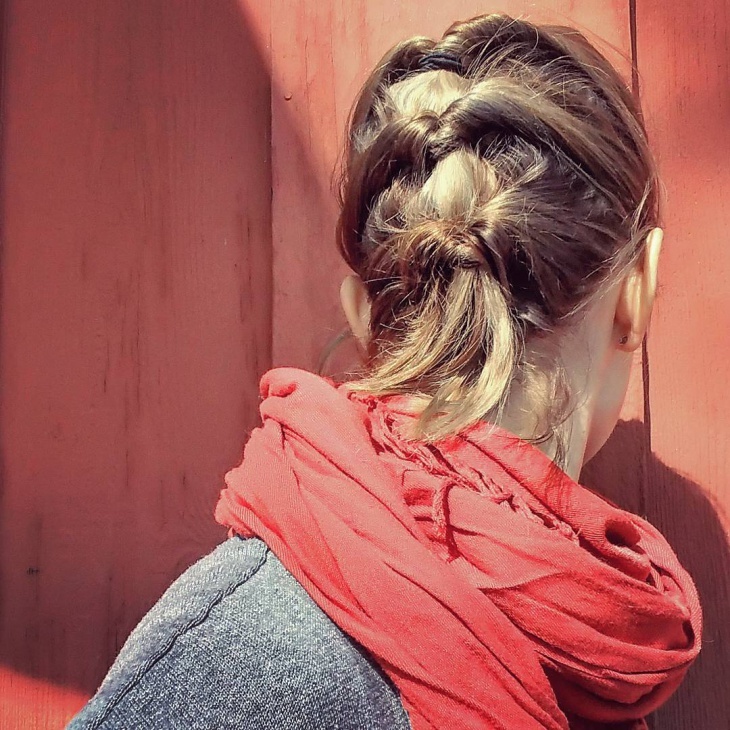 Go for a messy natural braid here, with strands of flicks down from the sides of your face. You can also try the style with dramatic eyes for a fun look! 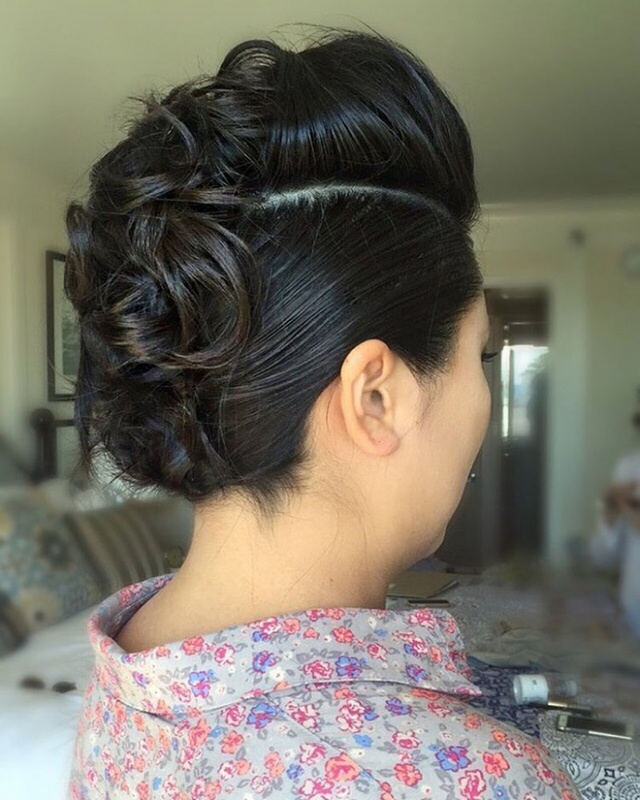 One of our favorites for a bridal updo, this hairdo will come as a savior for those with short thin hair. Take up small bunches of hair from the back and twist them upwards to pin them up. 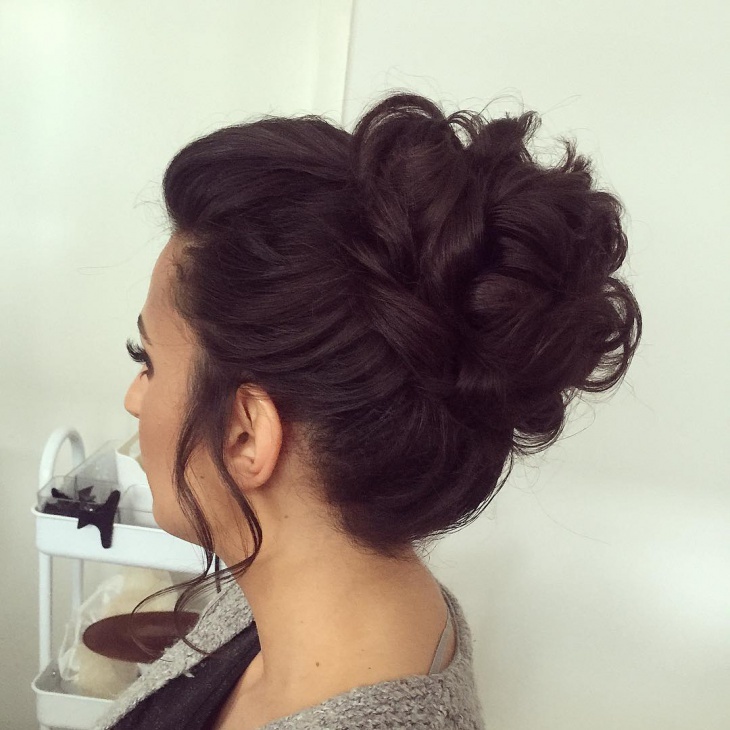 Keep repeating the same throughout to achieve this soft wind-swept and voluminous updo. 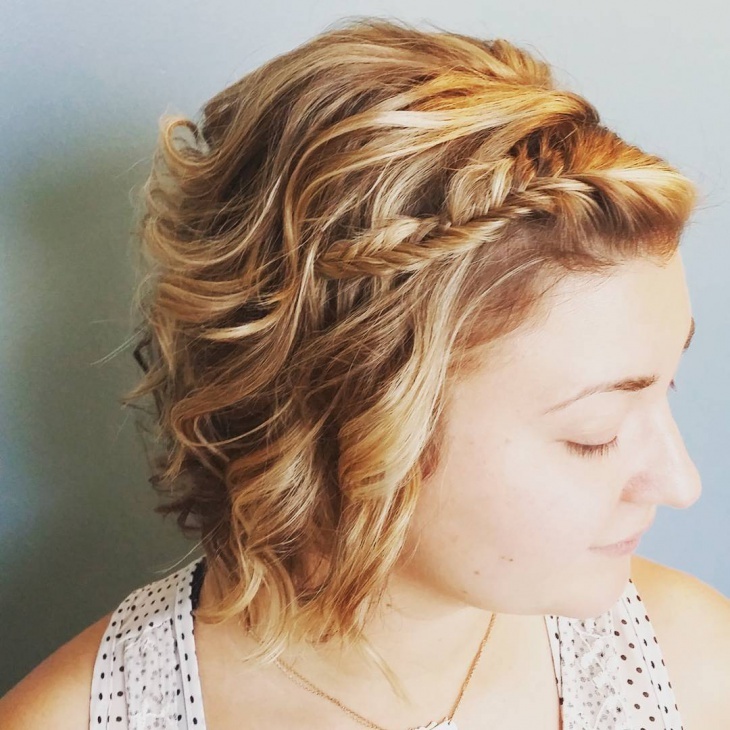 A natural, messy version of the Dutch French braid, this one has been especially improvised to suit the layered fringes of short hair. 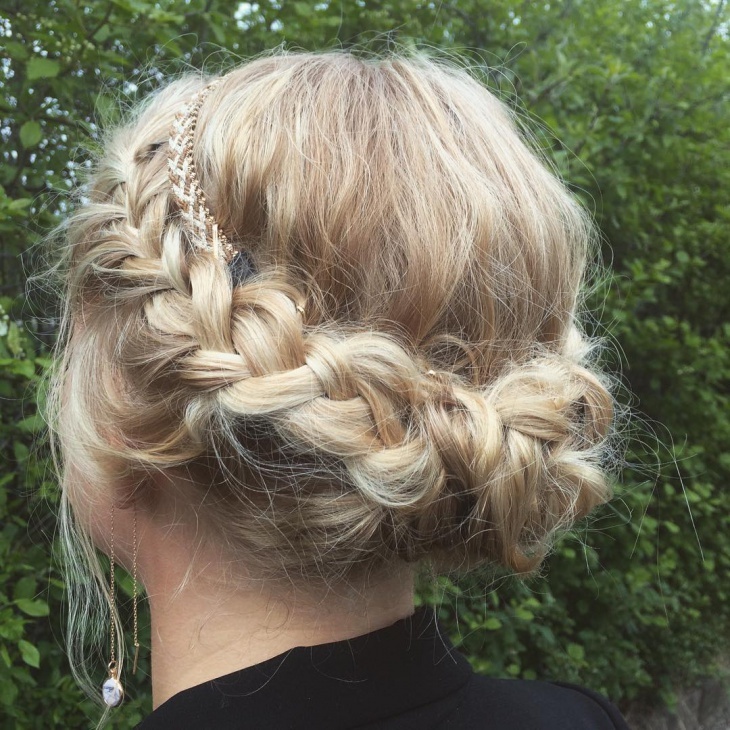 Take up little bunches and go round the head, braiding them into a thick plait at the side. 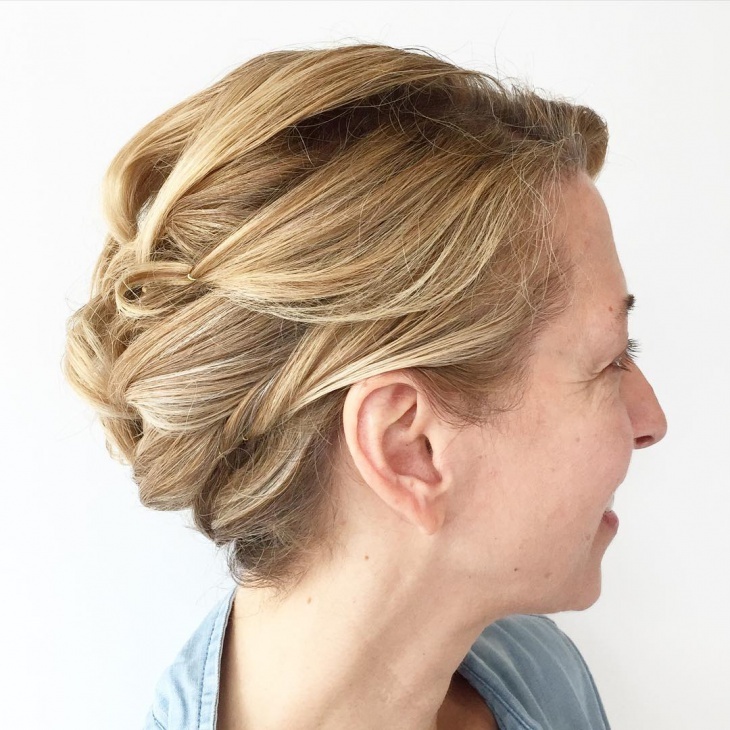 A glam updo for those with short straight hair. 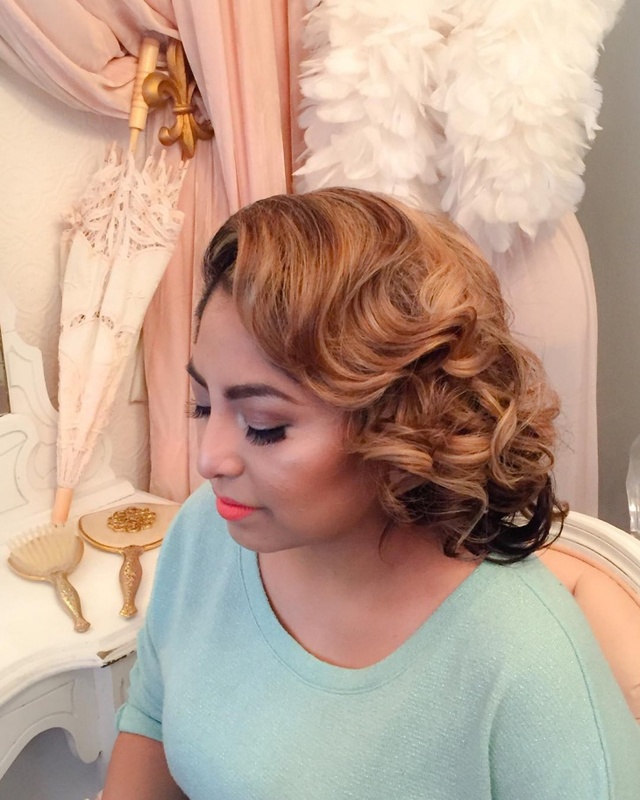 All you need for this one is a curling iron and some hairspray. Starting from the top of the head, give your hair soft curls at the forehead, making the curls heavier and shorter as you move down. 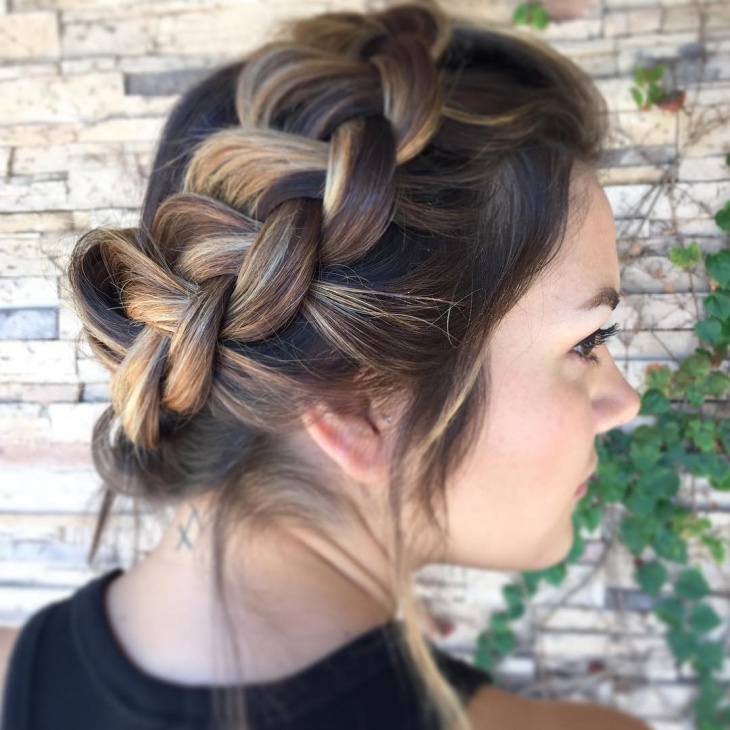 Tie your hair up in a soft natural French braid, weaving your way down from the top of the head. 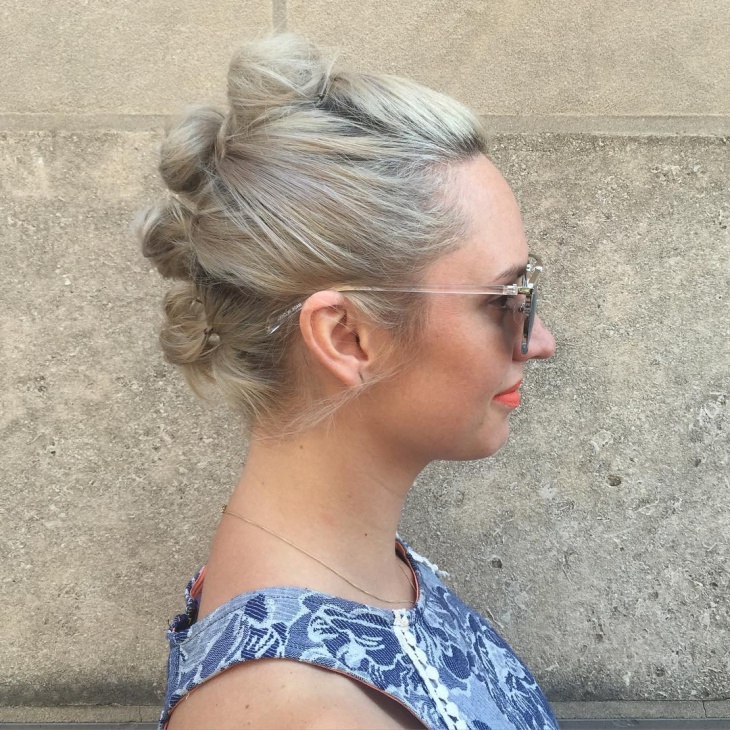 Pin up all the fringes flying loose to the joining ends of the braid to achieve this elegant everyday look. Another one from our wedding collections. 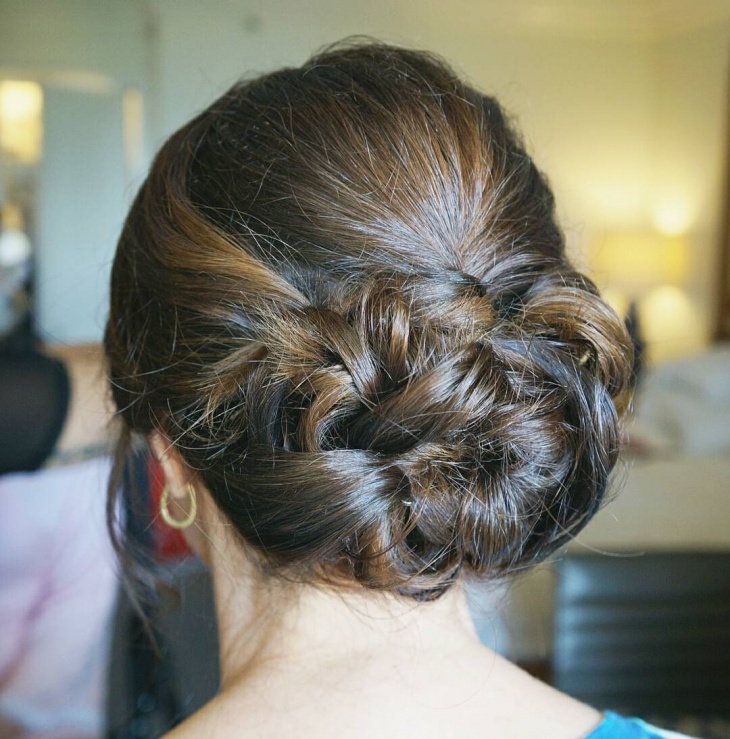 Go for this updo to feel like a princess at your wedding! 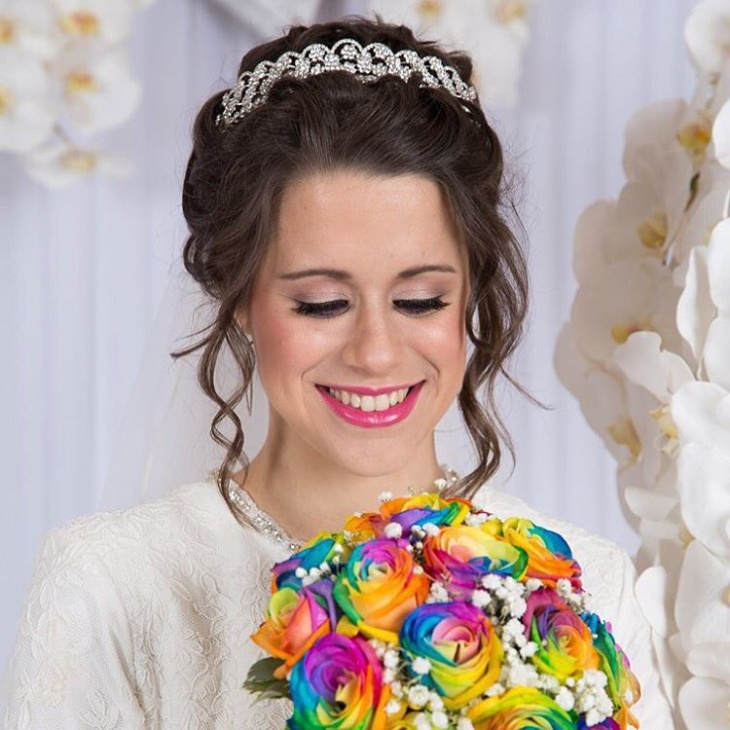 Paired with a tiara to keep up the softly twisted and braided hair, with a few running flicks beautifully framing your face, this is the perfect match-up to make all your wedding fantasies come true! 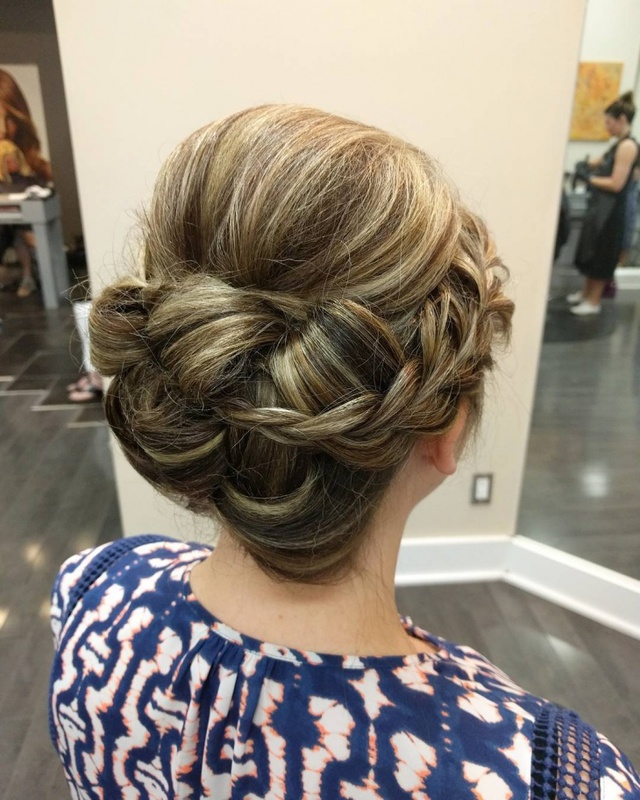 Updos have become popular primarily because they are easy to create, and add a glamorous look to your personality, whether they are paired with simple denim or a beautiful evening gown. Match them up with ponies or braids for an elegant flair, or just curl up your hair and twist them up for an everyday wear. So which look do you think you’d go for? Tell us in the comments below!